The APM pump series are horizontal multi stage pumps, with shrouded impellers, shaft sleeves and grease lubricated bearings. The suction and discharge flanges are either NP16 or NP40 according to the pump size. Tie bolts are used to resist the high pressures generated by the pump. These pumps are mainly used for clean water, but can also be used for mildly aggressive liquids that do not contain abrasive materials. 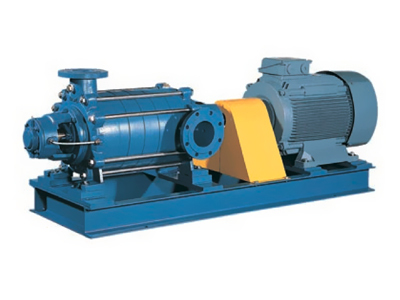 APM pumps are commonly used in the following applications: water supply, booster sets, pressure ciruculation, boiler feed.